Why Fartlek training works for me? I hate interval training – I just cannot understand the logic of running your heart out for those 2-5mins (depending on how long the interval is). My friends swear by it and have also dragged my reluctant self out for some of those sessions. There have been enough discussions on the merits and demerits of the same between us but I have this big phobia – the phobia of “I-will-die-doing-intervals”. And so any group runs planned with interval training as the theme sees me at my creative best – of coming up with excuses to skip the session. And so basically, it improves the overall aerobic power and fitness levels. Now if you are like me and have the “do-not-want-to-die-while-interval training” phobia, what can you do as an alternative to get the above results? One of the ways to get this kind of training is doing Fartleks. Infact Interval training is nothing but a formal and more structured form of fartleks. And I am happy with the rudimentary way of building up my cardiovascular capacity. Fartlek is a Swedish term which means speed play. Fartlek running involves varying the pace throughout the run, alternating between fast segments and slow jogs and these segments can be based on how the body feels. How do I use fartleks in my runs? I do short periods of slightly higher pace run as part of my normal run. I maintain the faster pace for a short distance or time intervals, such as 200m or 30 seconds and then get back to my normal running pace. Sometimes, I race a cycle or a rickshaw for that small stretch – and you should see the competitiveness in the riders facesJ. On some occasions, I have tried to catch some fast runners – and failed L. But what it helps in is that it simulates what is possible for you to do on a race day. On a race day you will have opportunities to speed up, but then you will have to settle back to a normal pace. You can’t stop, walk or bend over double panting and huffing trying to get your breath back during the race after a speedy stretch. My last km irrespective of the distance I have run that day is the fastest. It not only helps getting used to running fast on tired legs, it’s a big confidence booster and these muscle memories help me speed up anytime during the race. The one important thing is that I do not run my heart out, its fast – way faster than my target speed for the day, but easy enough that I can get back to my normal pace easily. And also what’s important is to have the discipline to add these stretches at regular intervals during the run. in Races: I have very successfully used fartleks during my races – my A Races and also races being run as part of the training. I speed up to overtake the runner in the front, sometimes leaving a big gap between us and sometimes leaving a runner between us J This is so that I am not made to do unnecessary big swings in my pace and after each such attempt can find enough time and distance to get my breath back by running at a normal pace. I am a big fan of these – my unstructured mind loves these compared to the formal interval training where I keep looking at the watch to check – how much more distance to cover ??? Go ahead try it… and Good Luck !!!! I am senior finance professional working for a global company. A mother of two, I took up long distance running six years back to get away from the stress of increased demands in managing a career, a family and other worldly duties. It gave me “my-me-time” and a great set of friends. What started as a stress buster, has also seen me do some crazy stuff besides the usual HMs and FMs (which I have run many) – trail ultras at Bhatti, Comrades twice over, travel domestic and internationally to run a race !!! I enjoy both the pleasures and the pain running brings into my life and can say that I am hooked. Totally relate to all of this- the unstructured mind, the quiet resistance and the whole fun of doing it my way. Fatties are far better than interval training essentially because they are done alone. Wow I managed all this without a single crack at ‘fartlek”. Great work Rashmi! Congratulations on all your achievements! Very informative and well written blog Tanya! Well done Rashmi! Many Congratulations for all your achievements! Very informative and crisp blog Tanya! Nice way to mend your ways while running and completely agree!! Rashmi !! 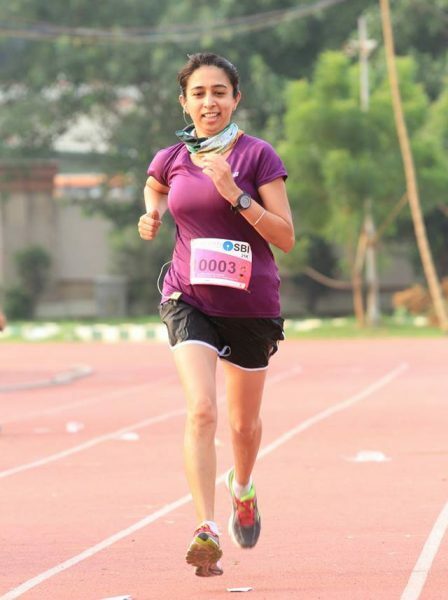 this is what I look for in your running.Something different is always there.Thanks for sharing it and now I feel I am not doing anything wrong(my own devised way of speed runs in between ,competing with cyclewalas -Is indeed FARTLEK 🙂 )Tanya a huge thanks to you as well for bringing this up for us. Just did my first structured intervals today, and I agree with every word of this blog! Hi Rashmi! I appreciate you for the challenges you take , be it your profession, family life balance and fitness. It was a good write up. I relate myself to the interval training phobia too.. Fartleks are a good way to train. Thank you. Stay fit.